Your tuition of $350 includes a $75 non-refundable deposit. Deposit is non-refundable. The remaining balance will be auto-drafted one week before camp. Tuition includes music games, end of week concert, camp t-shirt, pizza party, and prizes! 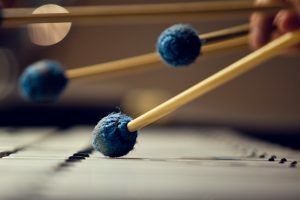 Techniques focusing on 2 and 4 mallet studies, ensembles, and improvisation. 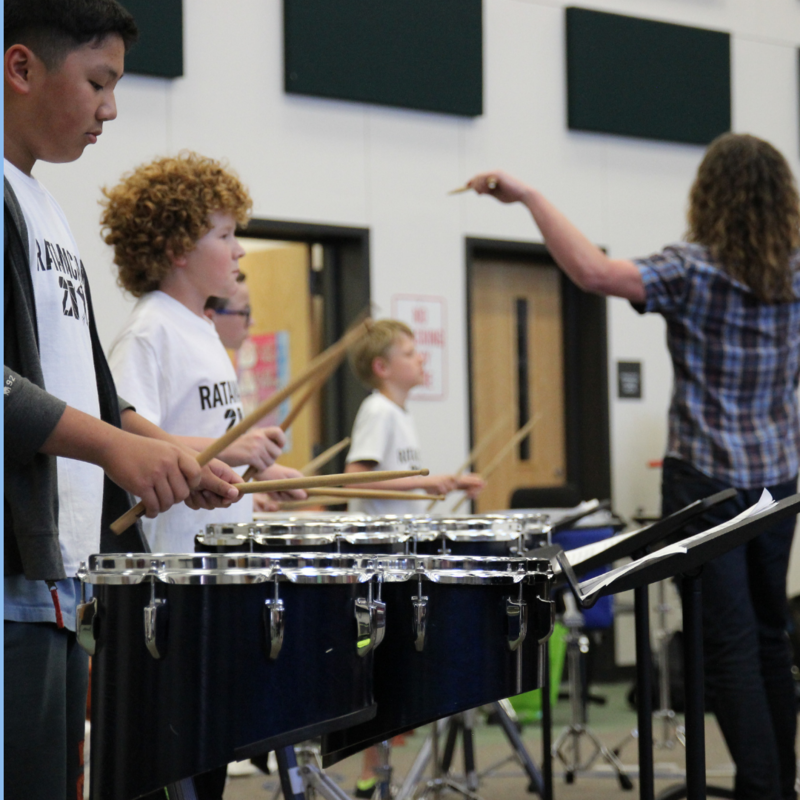 Focusing on ensembles that use concert drums & percussion. Includes tympani techniques and a novelty percussion piece. Focusing on detailed hand techniques as applied to the battery instruments: snare, tenor, and bass drum.